Numerous Brick residents were included in the latest round of hazard mitigation grants announced this week by state officials and the Federal Emergency Management Agency. The administration of Gov. Chris Christie, which is managing the program, announced 236 more grants to homeowners this week. Under the program, recipients receive up to $30,000 for a broad range of work associated with home elevations, including engineering, construction, permits and utility work. The money is reimbursed after the work is completed. Homes must be deemed structurally sound to be eligible. New Jersey has committed $100 million in hazard mitigation funds provided by FEMA to elevate approximately 2,700 primary residences; secondary residences were not eligible for the grants. In addition to Brick residents, homeowners in the Ocean County towns of Beach Haven, Berkeley Township, Harvey Cedars, Lacey Township, Lavallette, Little Egg Harbor Township, Long Beach Township, Mantoloking, Ocean Township, Point Pleasant Beach, Point Pleasant Borough, Seaside Heights, Ship Bottom, Stafford Township, Surf City, Toms River and Tuckerton were included in the latest round of funding. 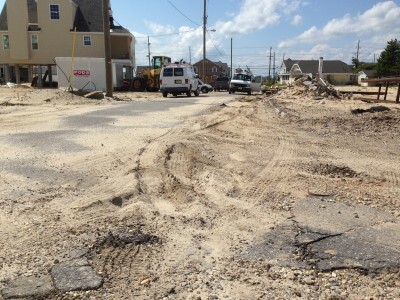 A first round of awards was approved in April for 26 homeowners in Brigantine in Atlantic County, and subsequent grants have been awarded to property owners in six counties.